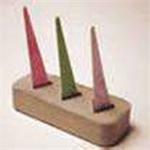 Pyrometric cones are useful in determining when a firing is complete, if the kiln provided enough heat, if there was a termperature difference in the kiln, or if a problem occurred during the firing. 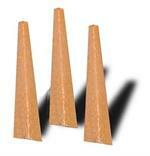 Use Jr cones in your kiln sitter. 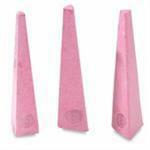 When using Witness cones, it is recommended to use 3 different cone numbers; the cone temperature you would like the kiln to reach and one cone hotter and cooler than the desired temperature.